Originally from Seward, Nebraska, Engler is a 1997 graduate of Nebraska Wesleyan University – B.A. in History and Business Administration – and a 2000 graduate of University of Nebraska-Lincoln College of Law. 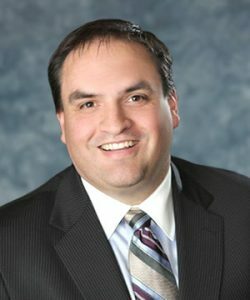 He practiced law in Burlington, Iowa, for the past 15 years; first as a partner with the law firm of Swanson, Engler, Gordon, Benne & Clark, L.L.L.P. and then as a partner at the law firm of Robberts, Kirkman & Engler, L.L.L.P. Engler has extensive experience in the areas of Divorce and Family Law, Social Security Disability Law, Workers’ Compensation, Personal Injury, Criminal Defense, Real Estate Law, and Probate. Engler’s first official day will be Tuesday, January 3, 2017.